My latest list from Lush: Raspberry Milkshake Bar Soap ("This creamy bar of soap leaves skin feeling divine and smelling delicious. Fair trade organic cocoa butter, extra virgin coconut oil and almond milk deliver skin so soft and supple you'll be looking to lather up all day long. An uplifting scent of fruity davana oil smells oh-so-decadent, and the pièce de résistance—fresh raspberry juice—gives skin a comforting cleanse. 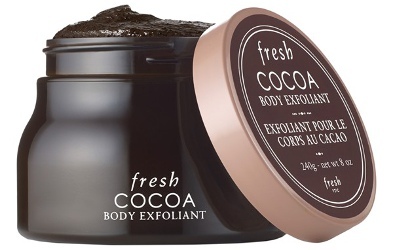 "; $9.95) and Mamma Mia Scrub ("This sweet body scrub is filled to the brim with naturally exfoliating fine sea and Himalayan salts, as well as toning and brightening pink grapefruit puree. Its sweet scent comes from a combination of vanilla, bergamot and rosewood, while a healthy dose of rose clay gently cleanses your limbs as you buff away winter dryness. "; $15.95). I have a bit of a weakness for scented hand creams. I buy too many, and then I tend to get more as presents. At the moment, sitting at my desk, there are a total of 11 hand creams within easy reach (yes, I'm sorry I counted). 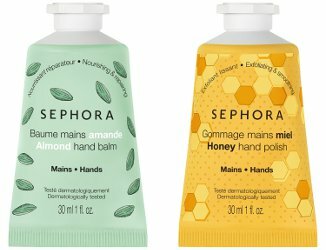 So I won't be buying these cute little tubes from Sephora, and unless you are fresh out of hand cream, you don't need the Almond Hand Balm either (above left; "Pamper your hands with Sephora Collection hand balms. The smooth formulas nourish and take care of your hands every day, without leaving your skin feeling oily or sticky. "; also available in Rose and Coconut; $5 for 30 ml). I have no need for Honey Hand Polish (above right; "With gentle and exfoliating sugar particles, the honey hand scrub blurs imperfections and smooths the skin. "; $5 for 30 ml) and I am dubious as to whether anybody does, but what do I know. Ready for summer? 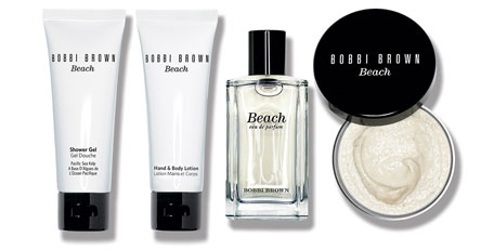 The Bobbi Brown Beach Babe Collection might help: "Make every day a beach day with skin-softening Beach Body Scrub, Body Lotion and Shower Gel, plus a full-size Beach Fragrance." $75 at Bergdorf Goodman. Is it summer yet? My most-used Bronze Goddess product is actually not the spray fragrance, but the fantastic (and highly-scented) Whipped Body Creme, introduced in 2014. This year, they've added a Body Salt Scrub ("This luxurious scrub with mineral-rich salt crystals gently smooths and exfoliates for sensual, luminous skin. 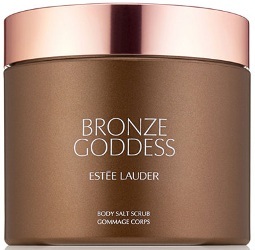 Decadent oils help soften and nourish with the seductive, sun-kissed Bronze Goddess Eau Fraîche fragrance.") $55. I am tempted. If anyone has tried it already, do comment!